I've been a full time business plan writer since 2012 and I have the process down to a science. Retaining me to write your business plan is easy and straight-forward. I have faster delivery options available (see below) but here is my standard business plan writing process. First you retain me by making the first half payment of the business plan price. 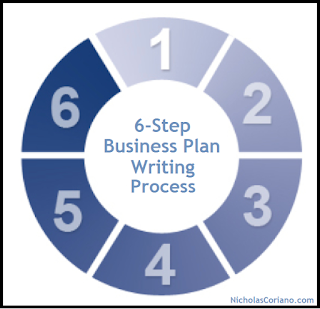 To see all my business plan writing packages (complete business plan prices range from $350 and up), click here. Then I get answers to my standard business plan questionnaire. You may fill out this questionnaire beforehand and send it to me to speed up the process (It was designed to not take you more than 15 minutes to finish). If not, I simply have a phone call with you to get the answers myself. This is our considered our first consultation. Take a deep breathe, we are almost done. In total you get your business plan in 14 days, 3 consultations via phone throughout the process and unlimited email support for 21 days from start to finish. This is what I promise, but my past clients can tell you that I am available long after that for business advice, motivation and anything else you need. I am also available to meet with my clients in person (contact me to schedule a meeting). If you would like the $650 business plan delivered in 7 days, simply pay $650 upfront and the full business plan will be delivered in 7 days; then you will have 14 days with me to make any revisions. If you would like the $650 business plan delivered in 6 days, simply pay $750 upfront and the full business plan will be delivered in 6 days; then you will have 15 days with me to make any revisions. If you would like the $650 business plan delivered in 5 days, simply pay $850 upfront and the full business plan will be delivered in 5 days; then you will have 16 days with me to make any revisions. Not everything fits neatly into a box, so contact me for any special requests.